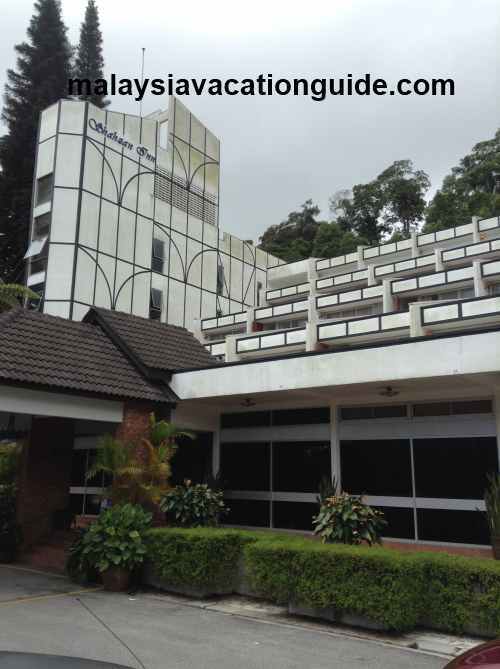 Fraser's Hill resort is one of the least developed hill resort compared to Cameron Highlands or Genting Highlands. As such, this resort which is located at an altitude of 1,524 metres above sea level is an ideal place for one who just want to enjoy the undisturbed nature in a cool environment. Activities that you can do here include bird-watching, camping, horse-riding, jungle trekking, fishing, golfing as well as discovering the many flora and fauna that abounds on this hill. This hill was founded by Louis James Fraser, a Scottish trader who established tin ore trading station at the end of 1900. He used to use mule to transport the goods. However, he mysteriously disappeared in the jungle of Fraser's Hill without a trace in the early 1900s. In 1919, the hill was developed into a hill station for those who want to escape the heat and humid weather at the lowlands of Malaysia. The main landmark of the hill at the town centre, The Clocktower taken at night. 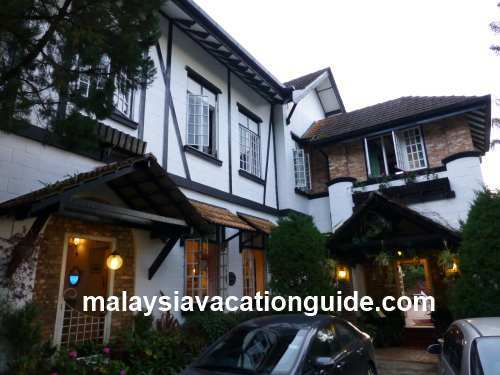 The bungalows and resorts offered here are mostly Tudor styled in design, reminding us of the cottage houses that you see in Scotland or England. The temperature at this hill resort vary from 18° C to 25°C and is a perfect getaway from the heat of the city. 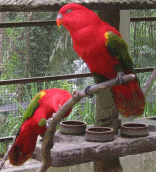 One of the key activities that you can do here is bird-watching. 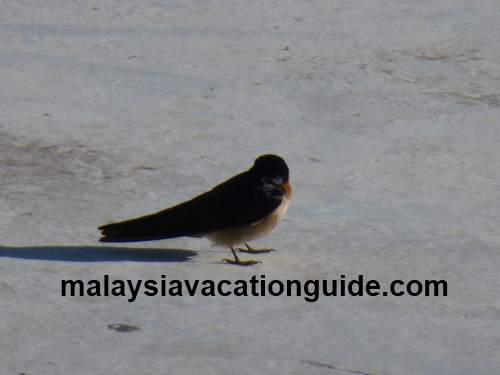 This hill resort has become a premier bird watching centre in Malaysia with more than 270 species of birds discovered so far. As a recognition of this, the Malaysian Nature society, the WWF Malaysia and Fraser's Hill Development Corporation organise the International Bird Race annually usually in the month of June. Getting a good binocular and a camera is a must if you want to enjoy the most of your bird-watching activity. The birds that can easily spotted here are the silver-eared mesia, long tailed sibia, fire tufted barbet and the blyth's hawk eagle. This year's Fraser's Hill International Bird Race 2018 is scheduled to be held from 30th Mar - 1st April 2018. The bird race is a race where teams of 3 persons compete against each other in searching, identifying and recording as many species of birds in Fraser's Hill within a stipulated time. Special Promotional Accommodations during the race are usually offered. Other events occasionally held are the Wildlife Exhibition, Nature Exhibition, Handicrafts Exhibition, Arts and Portraits Exhibitions. If you have your own transport, visit the Jeriau Falls, a waterfall with crystal clear water where you can take a dip and enjoy the tranquility of the nature. 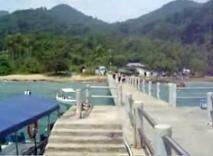 It is located 5km away from the town centre. There is also the man-made lake called Allan's Water where you can do boating for a fee. Children will love the boating on the lake in the midst of cool and quiet environment. 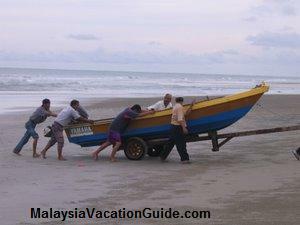 Rental for a 2-seater boat is RM6 for 15 minutes. Boating at Allan's Water. Family with young children will enjoy this activity. 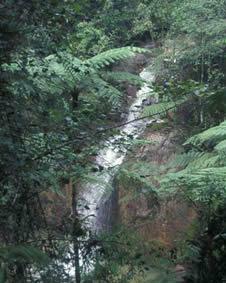 Visit the Jeriau Waterfall, 5 km away from the town centre. The golf course here used to be a 18-hole golf course but unfortunately it was recently turned into a 9-hole golf course. 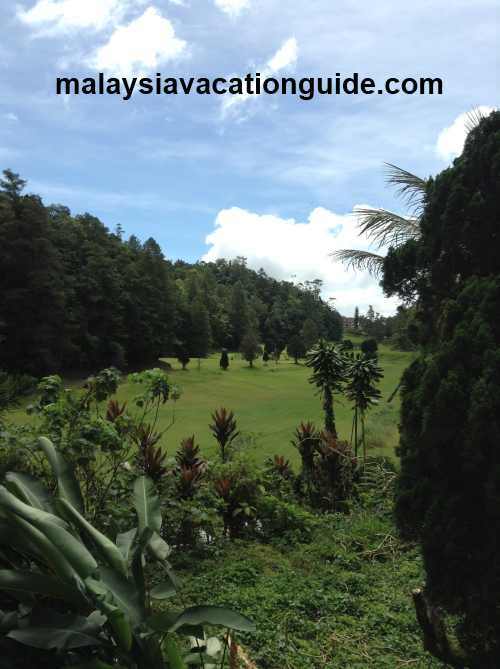 Golf enthusiasts however can take heart that there is still a golf course to play in this hill resort. 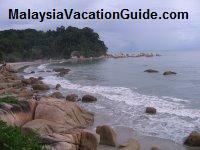 There are many jungle trails for you to go for jungle trekking in this resort. Remember to ask for a guide if you are not familiar with this place. 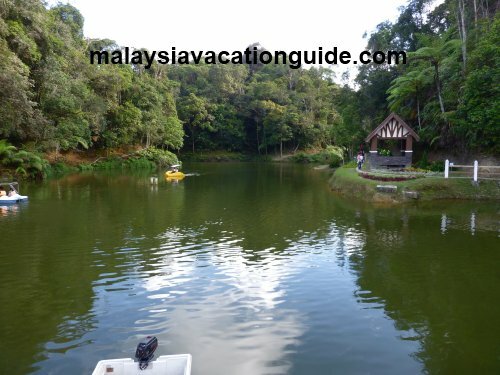 The popular trails that you can trek are the Maxwell Trail, Bishop Trail, Rompin Trail, Abu Suradi Trail, Kindersley Trail, Mager Trail, Pine Tree Trail and Hermant Trail. Bungalows, Hotels and Apartments are the main accommodation here. If you can, it is better to plan your holidays here so as not to coincide with the school holidays, weekends or public holidays as the rates in most inns and hotels will be higher compared to the normal days. The Puncak Inn budget hotel. The tourist information counter is also located here. Shahzan Inn used to be called Merlin Inn. Rooms certainly need upgrading to make them more comfortable for the guests. 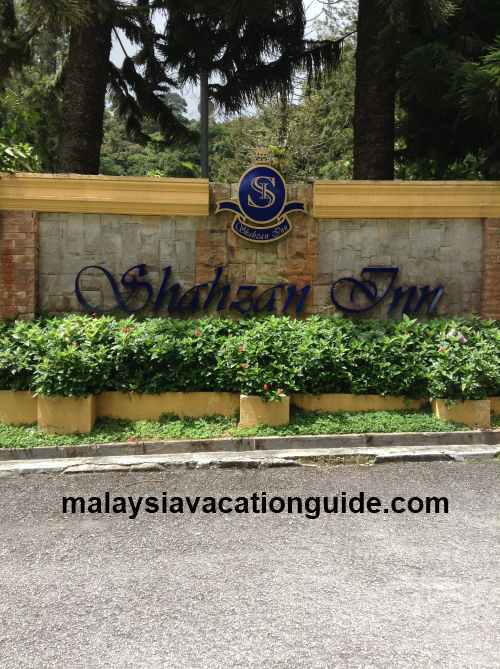 Shahzan Inn signage at the entrance. The Smokehouse has consistent room rates throughout the year. Bookings can be done by calling the hotels directly or check and compare the hotels' rates here. 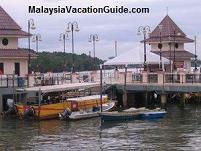 The distance of the resort from Kuala Lumpur is approximately 105km. 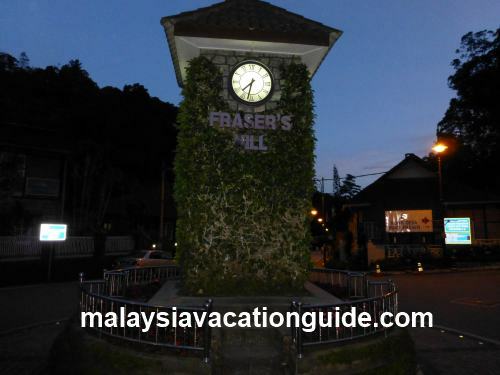 There is no direct bus from Kuala Lumpur to Fraser's Hill. 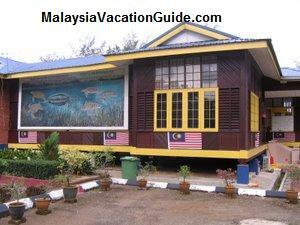 The best way to go is by taking a Komuter Train and stop at Kuala Kubu Bharu. From here you will need to take a taxi to the hill which costs around RM60 one way. You will need to negotiate the fare with the taxi driver. The one way road going down the hill. If you are driving from Kuala Lumpur, take the North South Highway to the north and exit at Rawang. 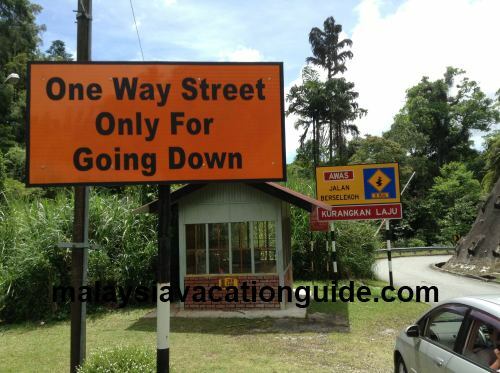 From Rawang, follow the signage to Ipoh and you will pass Serendah town followed by Batang Kali and Rasa town. 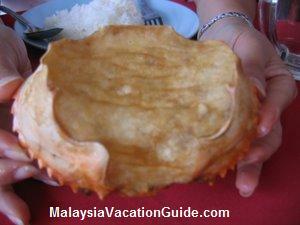 After Rasa town, follow the signage and turn right to Kuala Kubu Bahru town. From here, follow the easterly road past the police station and up the hill. There is no longer any time restriction to go up and down the resort as a new road was opened in March 2006. Sometimes, unfavourable road conditions may force the authorities to revert to the 1-way road system at the Gap. To be sure, call the police station at +609 3622222 before embarking on your journey. Make sure that you fill your fuel to the full while at Kuala Kubu Bahru as no petrol kiosk is available on the highland. You will need to factor in your trip up and down the highland. Factor in about 50km from KKB and another 50km down. Extra mileage is needed for you to move around the town. Other activities you can do here include horse riding, archery, spin top and taking a stroll at the town centre. There are 8 trails that you can trek while on this highland. Choose them according to your fitness level.